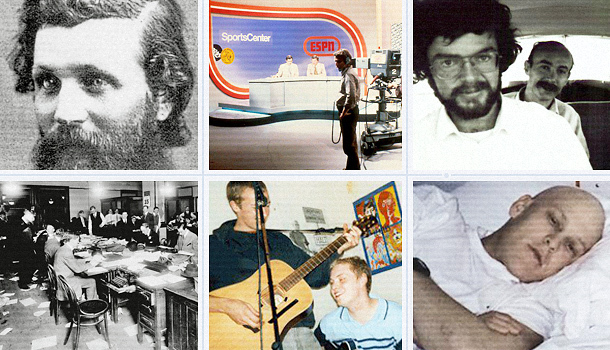 More than a pretty new layout, here are the ways Timeline is helping everyone from Coldplay to Sierra Club and The New York Times to Doctors Without Borders rethink their public personas. 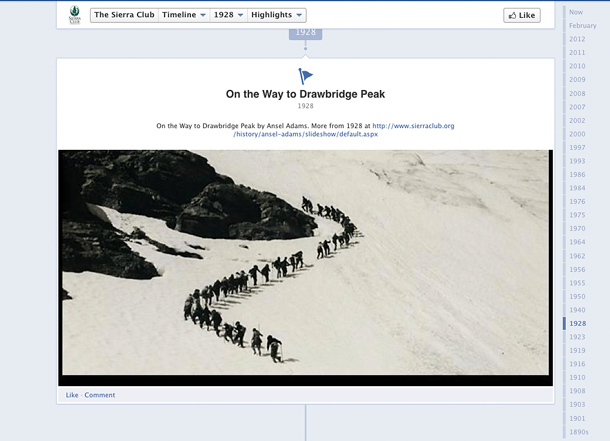 Facebook rolled out its Timeline format for brands this week. It’s still early, but we’ve already seen how the new format opens up fresh opportunities for businesses. Earlier this week, Doug Ulman, the President and CEO of Livestrong, talked to Fast Company about becoming one of the first non-profits selected to test out Facebook’s new Timeline brand pages. The Timeline feature allows Livestrong to visualize its achievements in a way that really engages its community, prompting members to recall where they were at key moments in the charity’s history. 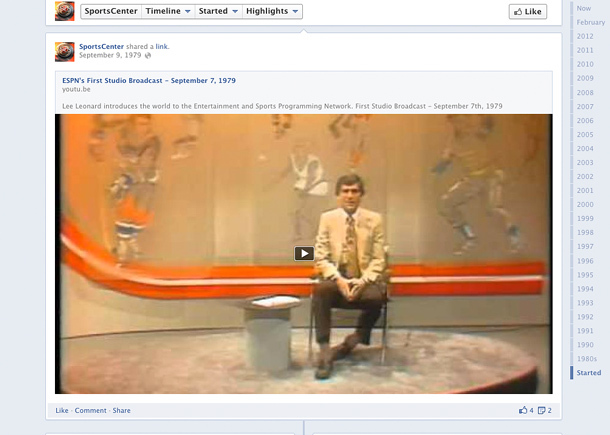 SportsCenter’s Timeline is rich with videos, photos, and statistical analysis. In fact, exploring the page is a lot like watching an episode of SportsCenter, except users can interact with the content in real-time, and consume the media at their own pace. While still in a primitive form, SportsCenter‘s page suggests exciting possibilities for revolutionizing how users experience television news programs, and everyone from 60 Minutes to the local news stations should take notice. Coldplay is among the first bands chosen to implement Timeline, but they certainly won’t be the last, as the tool offers many unique benefits to musicians. 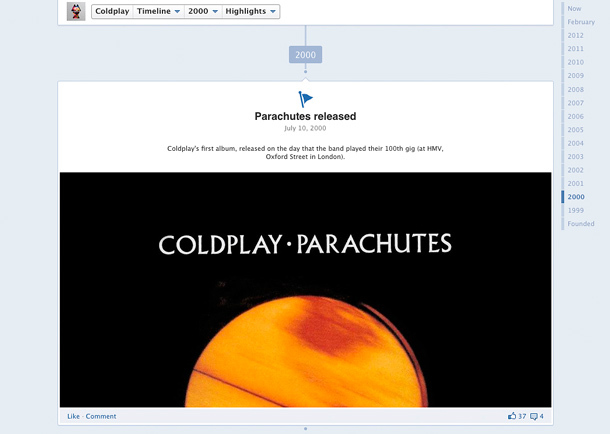 Coldplay strategically places Spotify links and YouTube videos on the page while letting fans take a nostalgic trip through the band’s entire backcatalog (including its humble pre-Parachutes days). By making it easy to pick and choose which portions of a band’s career to explore, Timeline allows visitors to create their own experience with the page, depending on whether the user is a curious newcomer or a long-time super fan on the hunt for bootlegs and b-sides. Few organizations take better advantage of Timeline’s enlarged front-page photo than the Sierra Club–and few have as much to gain. Environmental advocacy depends largely on communicating why the natural world is worth preserving, and stunning photos like the night-sky time-lapse shot currently sitting atop its page are persuasive tools in that fight. Sierra Club also has its own storied history, stretching back to 1892 when inaugural president John Muir helped the Club defeat a proposal to reduce the boundaries of Yosemite National Park. By providing historical context, users get a sense of how achievements made by the Club’s over a hundred years ago still resonate, and how helping out today could have a big impact on the lives of their children and grandchildren. Again, it’s hard to understate the benefits of Timeline to non-profits and NGOs. The emphasis on narrative, history, and photography makes it easy for these programs to highlight their achievements while directly engaging with fans and patrons in ways pamphlets and mailers never could. 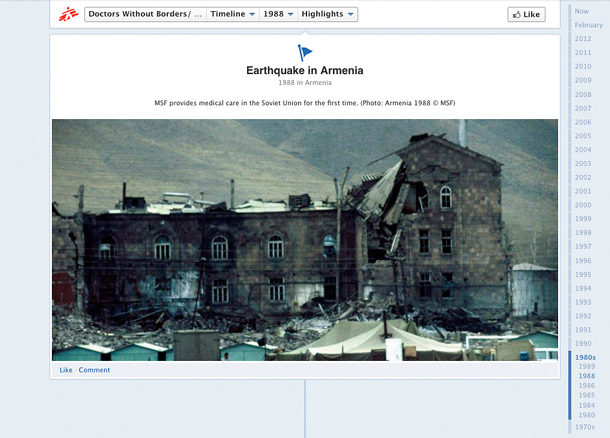 Users who explore Doctors Without Borders’ timeline will find more than lists of initiatives and accomplishments. They’ll take in snapshots of developing nations that not only describe the problems facing them, but also tell stories of inspiration. 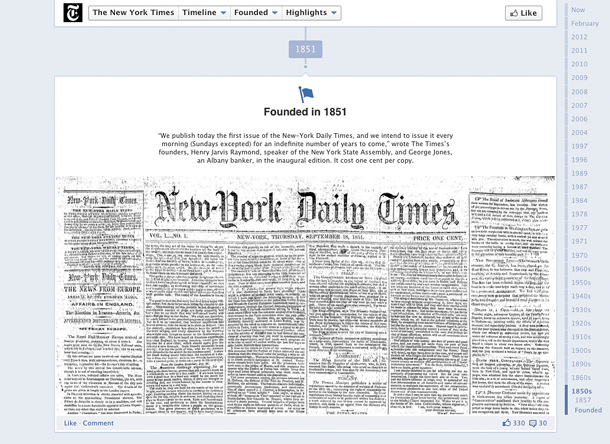 For organizations like this, Timeline is about much more than simply drawing attention to the brand. It’s about creating a channel for communicating why its mission is important, and providing a discussion forum for community members who feel the same way.